Today, we’re continuing what we started two weeks ago, aiming to show off some of the different interesting things you can find, once you go beyond the “official” material. So, this time around, please welcome the “Third Party Characters”. These will all be level 2 but will be created with a 3rd Party Published Race, and a 3rd Party Published archetype for the character (though still sticking with the official published spells and classes, otherwise it might be too much information at once). During Combat Eleventh’s tries to stay at a relative distance, engaging foes with its bow, using Point-Blank Shot, hoping to take them down before they get too close. Once they close in, he’s happy to use his longsword as best possible, trusting to her armor to keep it safe. Once engaged, Eleventh retreats if he is severely injured, and is not willing to risk her own safety unless absolutely necessary. Gear backpack, bedroll, explorer’s outfits (2x), masterwork composite (+1) orc hornbow, masterwork longsword, scale mail, small tent, trail rations (7 days), Coins 83 gp, 5 sp, (these remaining coins can be spent at the GM or player’s discretion before the start of the game session). 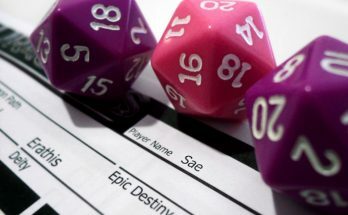 At character creation, xax roll a d10, and gain resistance 5 to the corresponding energy type. This resistance is permanent and does not change. 1-2: acid, 3-4: cold, 5-6: electricity, 7-8: fire, 9-10: sonic. (Eleventh rolled a 4, and gained resistance to cold). Eleventh has selected to pursue the Archery combat style. Eleventh has selected abominations as his 1st favored enemies. He gains a +2 bonus on Bluff, Knowledge, Perception, Sense Motive, and Survival checks against creatures of his selected type. Likewise, he gets a +2 bonus on weapon attack and damage rolls against them. Eleventh may make Knowledge skill checks untrained when attempting to identify these creatures. Eleventh has selected an Arcane School (enchantment) and gains a +2 bonus to any saving throws against spells of that type and a +2 bonus to any caster checks when casting spells of that type. At character creation, a xax gains proficiency in one exotic weapon of his choice. (for Eleventh, that was the orc hornbow). Eleventh’s effective spellcaster level is effectively the same as his ranger level when casting spells from his favored schools. In addition, the bonus gained from the schools selected is applied to the DC of spells cast by Eleventh. After an 8-hour rest, Eleventh may choose one skill to gain a +2 racial bonus with for 24 hours. Eleventh adds half his level (+1) to Survival skill checks made to follow tracks. Once per day, at sunrise, Eleventh rolls randomly on the list below to become endowed with a racial trait. 6 Eleventh gains temporary access to one feat that he meets the prerequisites for. Eleventh may choose this feat, and the choice remains until the next sunrise. Eleventh Cosine is less than 3 years old at this point but is determined to change the ways of his people. For about 5 minutes a day. It remembers it’s parent, but whether that parent was caring or not, he doesn’t. She does remember xax society as being in constant flux, always changing, always mutable, and never reliable. Something that it did not like.Something that just felt wrong to him. Eleventh is as random as any other Xax alive, but something is different she feels. On occasion it feels like the randomness of his race might be a deterrent, but he cannot pinpoint what it is. What she is certain of, however, is that the fate of the Xax is tied to many of the humanoid races and that the aberrations, who so many mistake it for, are the root of all the problems in the world. As such he has set out into the world, trying to convince the other races (unsuccessfully in most cases) that neither she nor the other Xax poses a threat to the world. But it has yet to find companions with which he can relate. As a final note, astute readers will note that the gender of Eleventh Cosine changes throughout the description. That is because, at any given moment, Eleventh Cosine could be any given gender.